A hydration pack is very useful for trail running and shorter hikes, where you don’t need to carry much besides water, power bars and other small essentials. Hydration packs come with hydration bladders (water reservoirs) and thus allow you to drink on the go without stopping. However, hydration packs also have limitations; due to their small cargo capacity, they are not suitable for long hiking trips and hikes that require technical equipment such as a climbing harness, helmet, crampons etc. In this review we selected and reviewed the best hydration packs for hikers and trail runners to make your buying decision a little easier. We only listed lightweight products that come with high-quality hydration bladders and provide great functionality and durability. To suit everyone’s wishes and needs, we included hydration packs of various sizes (e.g. cargo capacity and water capacity). To learn more about hiking hydration and hydration bladders, read our articles How much water to take on a hiking trip and Hydration Systems VS. Water Bottles. If you think that the hydration packs in this review are too small for your needs, check out our other selections of packs. 1. 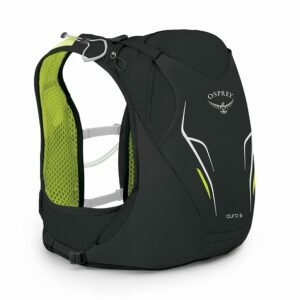 Buying a Hydration Pack for Hiking or Trail Running – What is important? 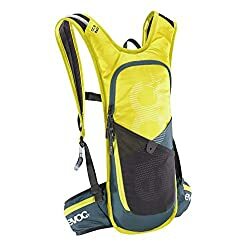 A hydration pack for hiking or trail running should be lightweight because lightweight equipment puts less strain on your muscles and thus allows you to hike/run faster. In this selection we only included products that (empty) weigh less than 1 lb. 6 oz. (600 grams). 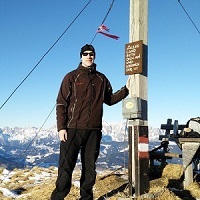 Read more about why it is important to use lightweight gear for hiking in our article Why hike lightweight. Hydration packs should have backpanels padded with foam for maximum comfort. The backpanel often also features an air channel in the middle for better ventilation. Unlike bigger backpacks, hydration packs don’t have a frame (aluminum stay) because they are not intended for carrying heavy loads. The hydration bladder that comes with the respective pack should be easy to maintain and durable. Hydration bladders that are easy to maintain have wide openings so that you can easily clean them. Many hydration bladders also feature an antimicrobial film which prevents/minimizes the growth of microorganisms. The durability of a hydration bladder depends on the quality of joints – such as the mouthpiece/tube joint, tube/water reservoir joint etc. In this review we only included hydration packs which come with durable and easy-to-maintain hydration bladders. Furthermore, all hydration packs in this review come with hydration bladders with bite valves. Bite valves provide the most hassle-free access to water. Learn more about different types of valves in this blog post from Source. The hydration packs in this review are suitable for carrying 1.5 to 3 liters of water, some power bars and other small items. However, in some of them you may be able to squeeze bigger items, like a rain jacket or similar. Pockets allow you to organize your gear; therefore, it is a great benefit if the hydration pack has a pocket for your cell phone, sunglasses, keys etc. Weight 13.2 oz. 15.2 oz. 7 oz. 7 oz. 1 lb. 2.7 oz. 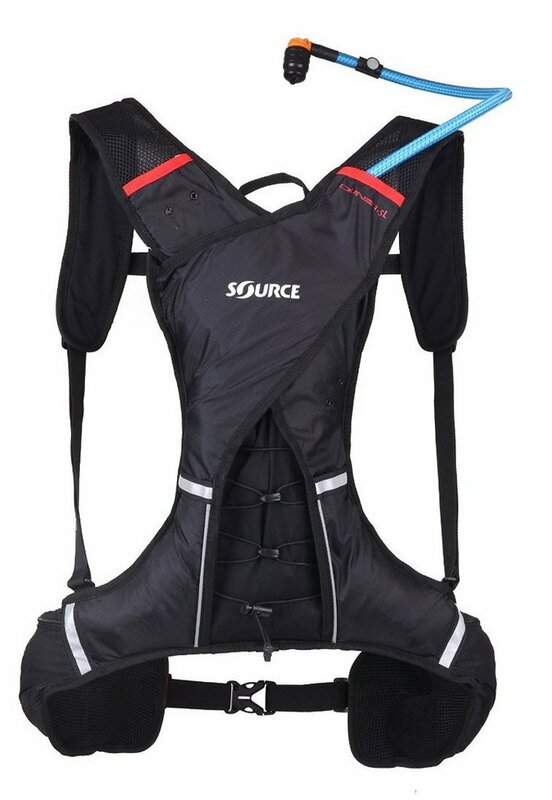 The Source Dune X-Fit is an extremely well-made hydration pack. The unique thing about this pack is that it uses an innovative shoulder straps system (X-Fit) for good fit. Described simply, the shoulder straps adapt to your body’s movements and therefore do not restrict you while hiking or running. Furthermore, the loose ends of the shoulder straps are attached so that they do not disturb you during your activity. The pack is made of lightweight 70-denier ripstop nylon and equipped with a foam backpanel. The shoulder straps provide great breathability because they are made of mesh fabric. For good fit, the pack also features a sternum strap (adjustable in height) and a comfortable hip belt. The Source Dune X-Fit is equipped with two zippered hip belt pockets, hydration bladder pocket and a front pocket with key clip. It also features trekking poles attachment system, light clip and a bungee cord. The bungee cord is very practical because it can be used for attaching a rain jacket or similar apparel. The pack comes with the Source WLP hydration bladder which can hold up to 1.5 liters of water. The hydration bladder features the Glass Like Film technology (smooth surface), Taste Free technology (BPA and Phtalate free) and Grunge Guard technology (antimicrobial film). These technologies make the water reservoir more resistant to the growth of bacteria and easier to clean. The tube of the hydration system is insulated and equipped with a Helix bite valve for hassle-free drinking. 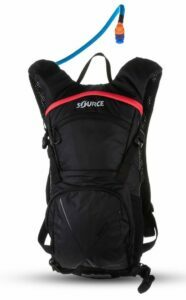 The Source Dune X-Fit is an excellent pack for trail runners and hikers. However, as it offers very little cargo capacity, it is best for brief activities. The Source Rapid is a bit bigger than the Source Dune X-Fit and thus better for those who need more space for storing gear. 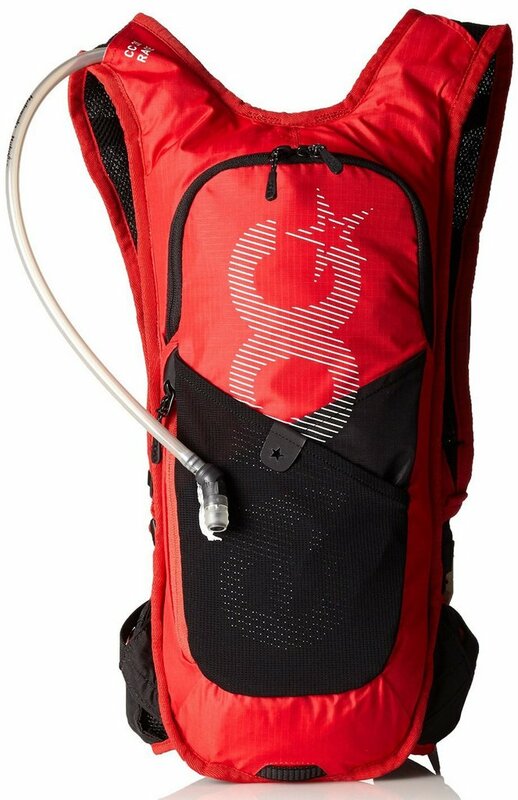 Furthermore, the Source Rapid also comes with a bigger hydration bladder. It is made of durable 70-denier ripstop nylon and features a foam backpanel. It has great options for storing gear. A detachable pouch with the volume of 2 liters is on the front side of the pack. It is perfect for storing food, clothing or other accessories. As it is attached to the pack with straps it can be easily detached if you don’t need it. The Source Rapid pack is also equipped with an insulated pocket for water reservoir, a front zippered pocket and two side mesh pockets. For good fit, the pack features an adjustable sternum strap and a (removable) hip belt. The sternum strap buckle is equipped with an emergency whistle. The shoulder straps are made of breathable mesh fabric for maximum comfort and the right shoulder strap is equipped with a mouthpiece holder which ensures that the hydration bladder’s tube is easy accessible at any time. 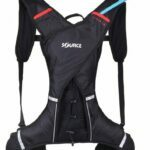 The Source Rapid comes with the Source Widepac Hydration System which is, due to the wide opening at the top, easy to clean. It also features Helix bite valve, Glass Like Film technology, Taste Free technology and Grunge Guard technology. 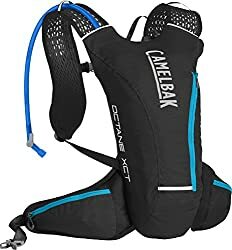 The Camelbak Octane XCT is best for those who want a hydration pack similar to the Source Dune X-Fit but with a bigger water and cargo capacity. The Camelbak Octane XCT comes with the newest 2-liter Camelbak Crux hydration bladder and offers 0.5 liters of storage capacity in addition. It is made of ultra-light materials and has comfortable and breathable backpanel and shoulder straps. For good fit, it has a sternum strap and hip belt. The sternum strap is equipped with a tube clip to keep the tube within easy reach. 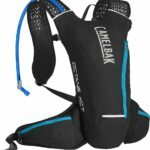 The Camelbak Octane XCT also has two zippered hip belt pockets, two pockets on shoulder straps and a big zippered front pocket. The 2-liter Crux hydration bladder has a wide cap closure which can be easily opened or closed. The tube has a bite valve and a locking mechanism to prevent leakages. The Camelbak Octane XCT is, due to its functionality, quality and storage options, a great pack for hikers and trail runners. The Osprey Duro 6 is a great option for fast-paced activities. It has a very innovative design to provide good fit. It is shaped like a vest and therefore it tightly encloses your body and does not bounce around. It also has two sternum straps, breathable shoulder straps and a comfortable mesh backpanel. Both sternum straps are adjustable in height. This pack offers surprisingly good options for storing essentials. 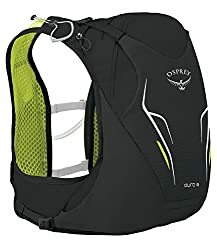 The Osprey Duro 6 has two mesh shoulder strap pockets, one zippered shoulder strap pocket, two mesh lateral pockets and a zippered pocket on the back side. The sternum strap has a magnet which holds the hydration bladder’s mouthpiece. It is also equipped with a convenient trekking pole attachment system. 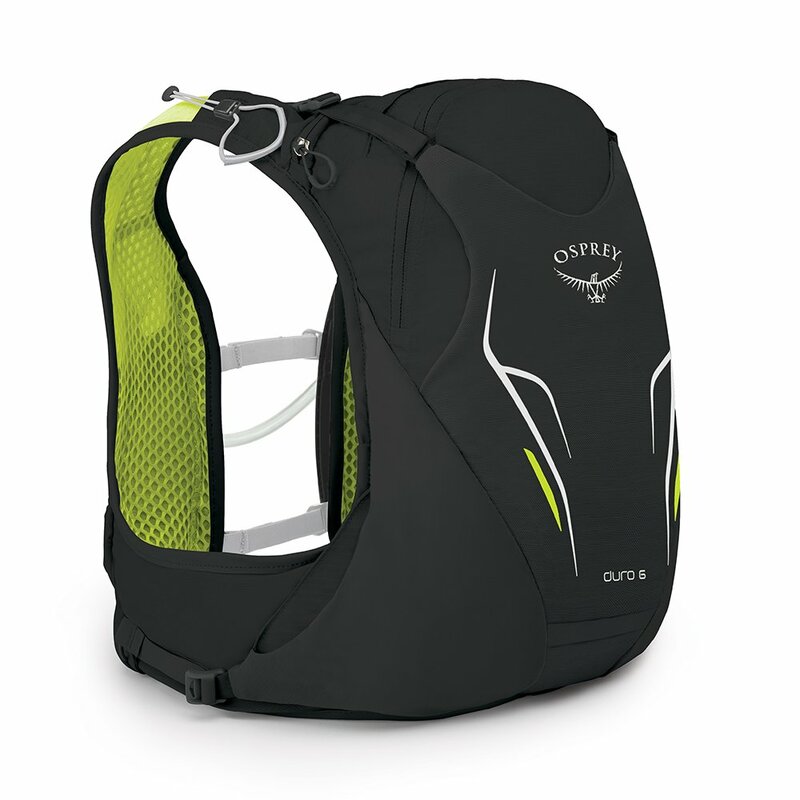 The Osprey Duro 6 comes with the Osprey Hydraulics LT water reservoir which holds up to 2.5 liters of water. The reservoir is made of a polyethylene material which is BPA- and PVC-free. It also has an antimicrobial film to prevent the growth of microorganisms. The Osprey Duro 6 is, due to its stability and functionality, perfect for trail runners and hikers. The Evoc CC 3l + 2l Race is a very practical pack that provides great fit. 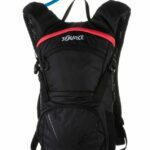 The pack is made of durable 210-denier ripstop nylon and equipped with breathable shoulder straps and backpanel. It also has a sternum strap and a hip belt for better fit during high-impact activities such as (trail) running. 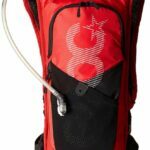 The included hydration reservoir is placed in the main compartment while other gear can be stored in one of the many pockets. The Evoc CC is equipped with two zippered hip belt pockets, a shoulder strap pocket, a front zippered pocket and two front mesh pockets. It also has a small zippered pocket in the main compartment. It comes with the Evoc hydration system that holds up to 2 liters of water. The water reservoir is BPA- and PVC-free and has a wide opening at the top for easy cleaning. The tube is insulated, and the mouthpiece can be locked to prevent leakages. All in all, the Evoc CC 3l + 2l Race is a great pack for hikers, trekkers, trail runners and other outdoor enthusiasts. 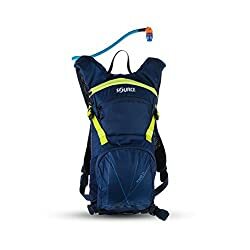 What is a hydration pack used for? A hydration pack is perfect for short and fast-paced activities such as trail running and hiking. Hydration packs come with a hydration bladder which allows you to drink on the go without stopping.